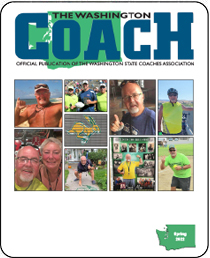 Individual liability protection for member coaches is provided as a benefit by the Washington State Coaches Association. This liability insurance offers protection for allegations and claims against coaches for bodily injury and property damage in their role as coaches and volunteers. Coverage is provided for coaching and instructional work involving scheduled, sanctioned, and supervised Washington Interscholastic Activities Association (WIAA) scholastic sports. The protection also includes coverage for allegations of sexual abuse and molestation against student-athletes; and Legal Liability to Participants (including the Brain Injury provision). This Legal Liability for Brain Injury is relegated to the following sports: Tackle Football, Soccer, Lacrosse, Gymnastics, Cheerleading, Wrestling, Rugby, Ice Hockey, Inline Hockey, Futsal, Diving, and Basketball. This list may include club sports for Washington and those sports would not be covered in this case; only WIAA sponsored sports. The liability limit is $1,000,000 total. The coverage extends to summer activities as long as the sports being coached are WIAA-sponsored sports. Club sports are not covered. This is meant to protect coaches for summer camps, clinics, and other team related activities. Transportation of students is not covered. If is highly recommended that coaches contact their personal insurance agent before transporting student-athletes.